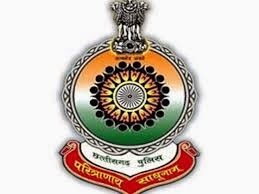 Chhattisgarh (CG) Police Department has issued a recruitment notification to recruit 1781 Constable Posts. Candidates who are eligible and interested they can apply online mode by visiting official site of CG Police Department. Also check other details related to Chhattisgarh Police Constable Recruitment 2015 like how to apply, selection process, running race, written exam date, height, previous question paper, old/last year question paper, and syllabus in Hindi, books, and more details are given below. Educational Qualification: 10th Class, 12th Class or Equivalent from recognized board. Candidates who are preparing for CG Police Constable jobs they must and should check previous question papers, model papers, exam pattern, and syllabus for better preparation. Here I am sharing previous question papers collected from net sources. You can download your android mobile also.